Baird has been a leading advisor to the Household Products sector for over 20 years. 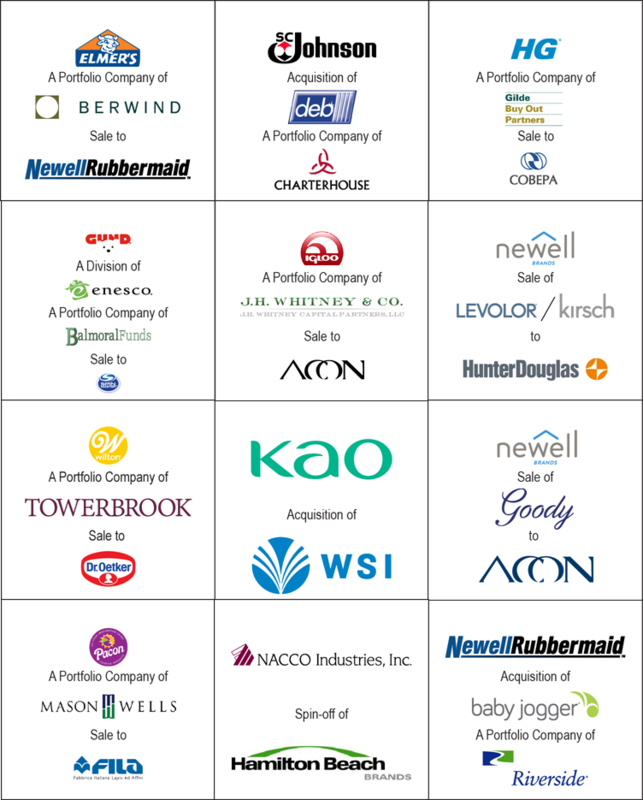 Our sector relationships are deep: we have completed transactions involving industry consolidators such as P&G, SC Johnson, Kao, Spin Master, Bosch, Henkel, Newell Brands, Hamilton Beach, Corelle Brands and 3M, as well as numerous consumer-focused private equity firms. We are an advisor who recognizes the value of design, innovation, category management and branding, while also recognizing that it is typically the people and culture of our clients that allow them to excel in these areas. Let us help you write your growth story. The above transactions were selected for their relevance to the Consumer sector and do not represent all Baird transactions. View our website at rwbaird.com/investment-banking for a full list of transactions.